What Does "Raw Honey" Really Mean? Today’s post comes from Emi Higashiyama, who has worked at a honey farm and educates people on the many uses and health benefits of bee products. 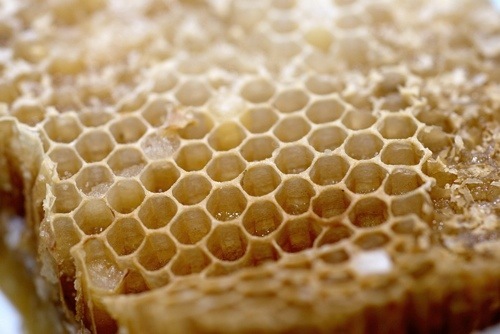 When honey is harvested from the comb by centrifuge, it leaves behind the large chunks of beeswax. When the mostly-honey stuff is strained, little bits of beeswax are further removed. This process is called straining, and the resulting product is “pure honey”. That’s the clear, golden liquid that’s in squeeze bottles labeled “raw honey”. As long as this stuff hasn’t been heated past hive temperature, this pure honey is still raw (and much, much easier to work with in culinary settings). Where can I find varieties of raw honey? Curious to see all the possibilities of raw honey? Summer is here, which means it’s fair season (at least for those living in the US, possibly elsewhere), and many state fairs will hold contests for beekeepers to show their best products. This is a particularly good time to meet and greet beekeepers, talk to them about their processes, and see all the forms of honey (really raw, raw-pure, comb, etc.). They will most likely be in the state beekeepers’ association, which often hosts classes and events that can be very enlightening about anything related to honeybees. Another option is to visit farmers’ markets that have honey booths. Farmers’ markets usually have rules about the distance and origin of its products, which means beekeepers should be that much more accessible. Yet another option is to visit www.honey.com (the US National Honey Board), which is a great source of information to track down beekeepers who harvest and bottle their own honey, as well as information on honey itself. With so many forms of raw honey out there, it really is up to the individual how and what to acquire (based on consumption preferences). Just don’t buy the mass-market honey (from huge companies, they most likely flash-heat and micro-filter during bottling) or labels that say “Grade A” (there’s no such thing). 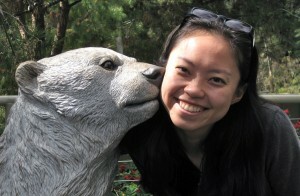 Emi Higashiyama is a globetrotting freelancer – some of those freelancing activities include writing, sort-of beekeeping, and classical harp performance. She blogs over at aiparoundworld.blogspot.com, helping non-US residents source autoimmune protocol-friendly ingredients and supplies. I recently (beginning of August) bought honey from a farmer’s market in Croatia (Split). I did not pay attention to whether it is raw/organic. In fact, the lady at the stand could barely speak English so perhaps I missed some information on how to store the honey. I think it is somewhat raw, because the consistency is really thick and the color dark brown. It has a very woody taste and that is what I love about it. However, I started to notice a strange layer of white/foamlike material drifting on the top layer for a month now. At first, I just ignored it but today I tasted it and it has a very funny taste. Can honey go bad? The taste is very fungal like. Is it dangerous for me to keep consuming this honey or can I still consume despite it’s funky taste? Don’t want botulism eek. . . I stumbled upon this website and also saw your comment/question. I was delighted to see beautifully designed pages and to read some interesting things about raw honey but also disappointed to find incorrect statements like beeswax being the main cause of honey crystallisation. It should have stated the pollen particles contained in honey and not wax. Also royal jelly and bees are never content of honeycomb. There are honeys from around the world that are organic. They have rules in place for hives and distances of organic fields around them. In the US you should ask small beekeepers about their hives. Do they do agriculture pollination services or are near big ag fields. I do not heat my honey but the probiotics in honey begin to break down at 110 degrees not 95. Crystallized honey is generally a sign it hasn’t been pasturized. The brown flecks are usually pollen, it isn’t many that let bee parts get into the bottled honey. So this is NOT A RED FLAG! I have in 15 yrs only had one person ask for honey with no straining. 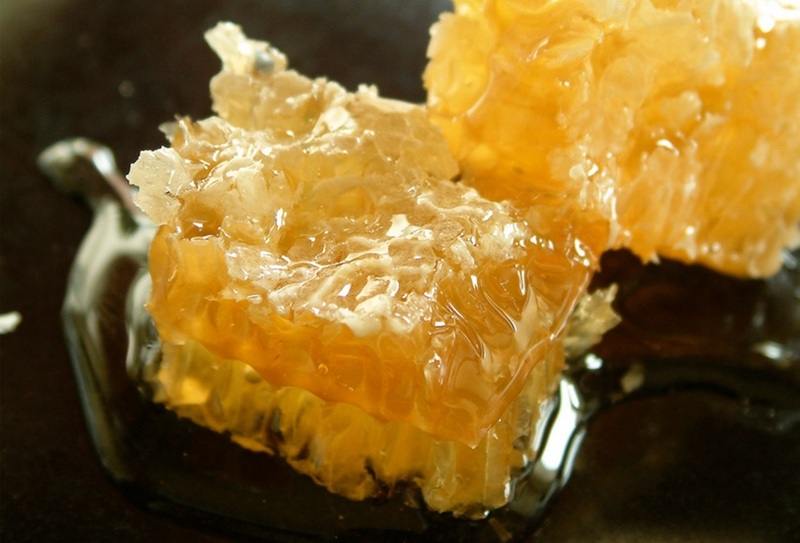 Comb honey is really raw and contains no bee parts. And if you truly thought about the 🌎 the hive, pests included , strained honey is completely full of pollens and probiotics just less the ‘hive extras’. Most beekeepers unfortunately use harsh chemicals in the hive so look for natural or treatment free beekeepers. My apiary uses organic methods and no big ag near us , just wildflowers. I can’t label as organic but it is close! And we do not buy anyone else’s honey to resell! Yuck! Beekeeping is hard work and to buy cheap to sell high hurts the bees , beekeeping and the customer who deserves the best the bees have to offer. Find a beekeeper near your or one you trust. Plant flowers and trees for your suvival AND THE BEES! Radioactive microwaves? Not true. Its magnetic induction and not radio active. When microwaves are absorbed by food containing water, it causes the water molecules to vibrate, which produces heat. Microwaves do not use x-rays or gamma rays, and they do not make food radioactive. Microwave ovens can cook food, but they do not otherwise change the chemical or molecular structure of it. I recently came across this website, italyabroad.com, and found organic raw Italian honey. I gave them a try and loved it and I really enjoyed the Arbutus, that according to them, is the Italian for Manuka honey.